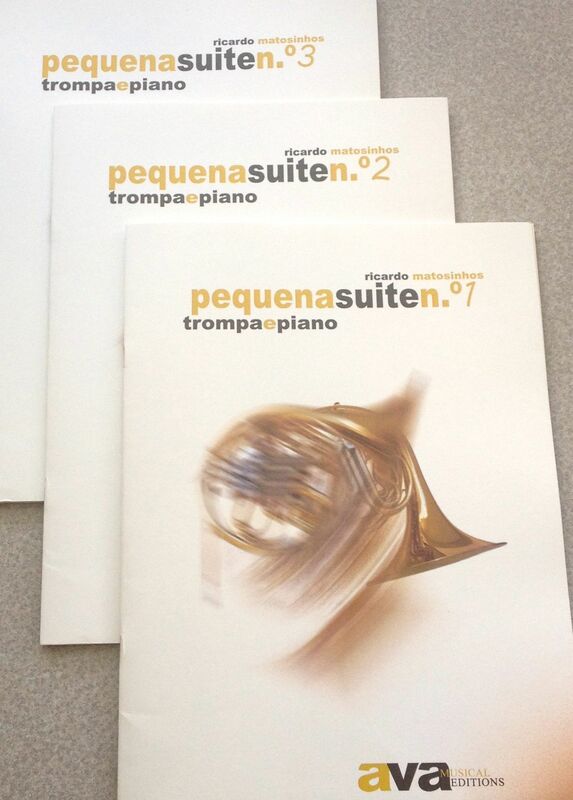 Recently I received several new publications from AvA Musical Editions, which specializes in the music of Portuguese composers. Though they aren’t very well known in the United States, AvA has a variety of high quality publications for horn and other brass instruments. I have previously reviewed other publications by Dr. Matosinhos (here and here), and am likewise impressed by these three charming compositions. The composer has recognized and filled a very important need in today’s music for horn: high quality solo music for beginning to intermediate players. Modern horn music has plenty of intermediate to difficult compositions, but it is rare to find well-written material for younger players. One exception to this observation is First Solos for the Horn Player, by Mason Jones (not to be confused with his more popular Solos for the Horn Player), but this collection contains primarily transcriptions, many of which are too difficult for young players. In addition to composing these accessible and artistic solos for horn and piano, Matosinhos has also recorded them and provided excellent annotations such as range requirements and descriptions of each movement. Here are some brief summaries of each suite, with links to the recording page and more detailed information. This is fun music – composed especially with younger players in mind – yet full of challenges for the student and teacher to navigate together. The piano parts require a competent and sensitive collaborator, but on the whole are quite reasonable. All three works are found on competition lists in Portugal, and it would be wonderful to see them appear on similar lists in the United States. You are very welcome Ricardo! Great review– I have a copy of these too, these really look like great publications. Thanks John! Hope all is well! Also, just to mention, you’re pretty much batting 1000 with me on your book reviews. – Blow Your Own Horn one of the best things on music making I’ve ever read – and the maintenance book is very helpful.